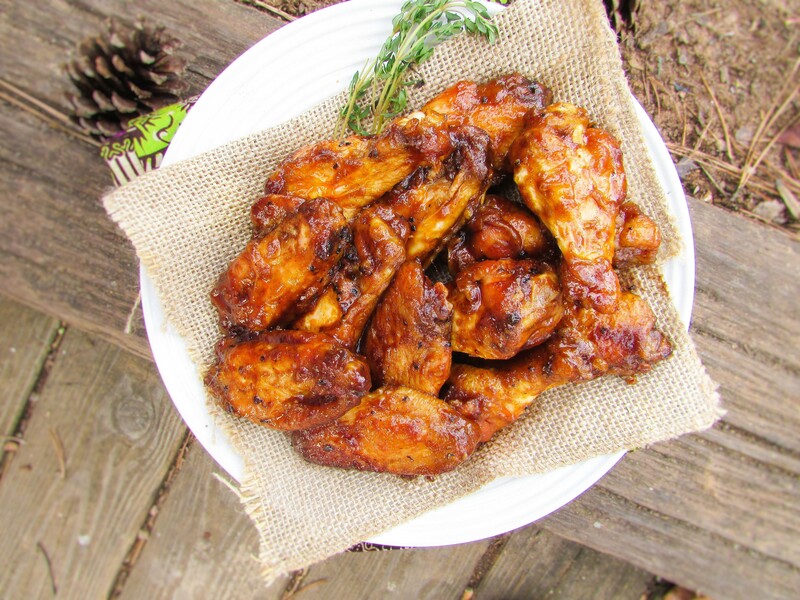 Baby it’s cold outside…so we are having deliciously sweet and spicy wings for the win! This recipe show me pepper eh! The first time I made this chicken I followed a recipe which I had seen online. I tweaked the recipe and went to work on it. I was delicious, but it didn’t have the saucy coating I had wanted on it. I tried it once again, but the perfectionist in me just had to get it right. I kept trying to research(I’m sure google knows me by name now lol), but it all seemed complicated, so I decided to go back to the drawing board; yet it wasn’t quite clicking. I brooded over not having the right recipe; then my ajebutter had to have surgey ; then I had to put it off again until sometime last week. I woke up early a few days after my ajebutter’s surgery and went right back to bed; then I woke back up and went into the kitchen. In between answering emails and messages, I whipped up everything. If you asked me how I did everything and down to the photo, I couldn’t tell you. I just blacked out and my hands just kept moving…what?! The only thing I remembered doing is praying and just asking God to help me as I dun too stress this thing and in the process of stressing, I asked God several times “Is this was what you want me doing?” It was a moment where I thought I wasn’t doing too well and almost failed myself. For days like this, I thank God. Wash chicken, pat dry(completely dry) and split. Season with salt, pepper and baking soda and let it rest for 10minutes to an hour. Place in the oven and let it bake until crisp and the juices have run clear. This entry was posted in Appetizers, baking, Barbecue Chicken Recipes, Barbecue Recipes, chicken, chicken dishes, Chicken Recipes, chicken suya, Holiday recipes, Side dishes, Sides, Small chops, suya, Suya recipes, Uncategorized and tagged coca-cola wings recipe, cocacola chicken and suya wings recipe, Nigerian food blog, suya chicken recipe, suya wings recipe.